This video by Mike Barzman called Pink Terror Hawking is all shot on a Phantom camera at 1800 frames per second. It’s an experimental super slo-mo project, featuring all sorts of destruction and mayhem. 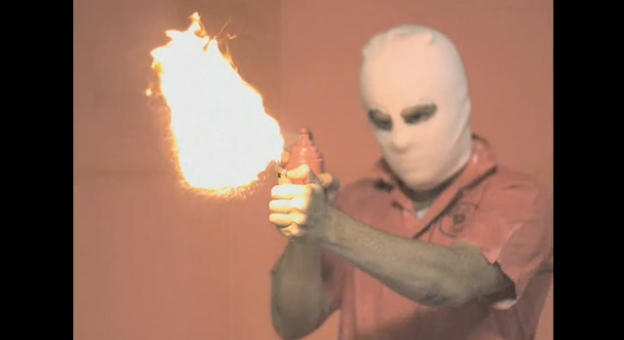 We get flame-throwers, firecrackers, and a crowbar wielding gentleman. Perfect to set off your saturday.